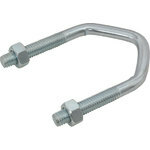 Replacement 37mm (1.5") V bolt for clamping masts of up to 31mm (1.25") to standard wall or lashing brackets. 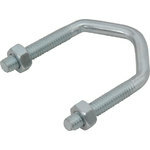 Replacement 62mm (2.5") heavy duty V bolt for clamping masts up to 54mm (2.1") to heavy duty brackets. 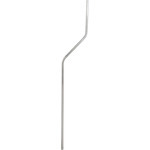 A range of 1.2mm thick aluminium alloy masts suitable for all aerial installations. 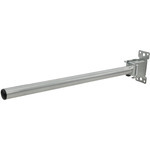 Complete loft mounting kit with black plastic bung. 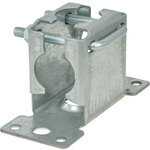 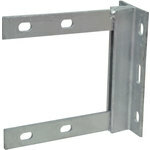 Supplied with bolt, bracket, clamp and 18" alloy mast. 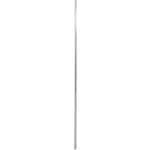 Sturdy 6ft (1.83m) 33mm diameter steel aerial mast, suitable for aerial installation applications.